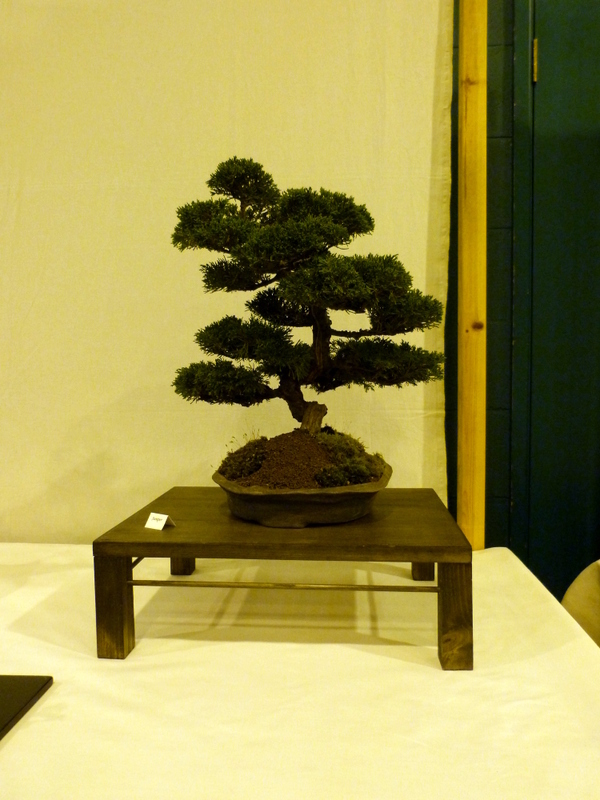 We now look on the Swindon show as the opener for the new bonsai year a chance to meet friends and dealers we have not seen over the winter. 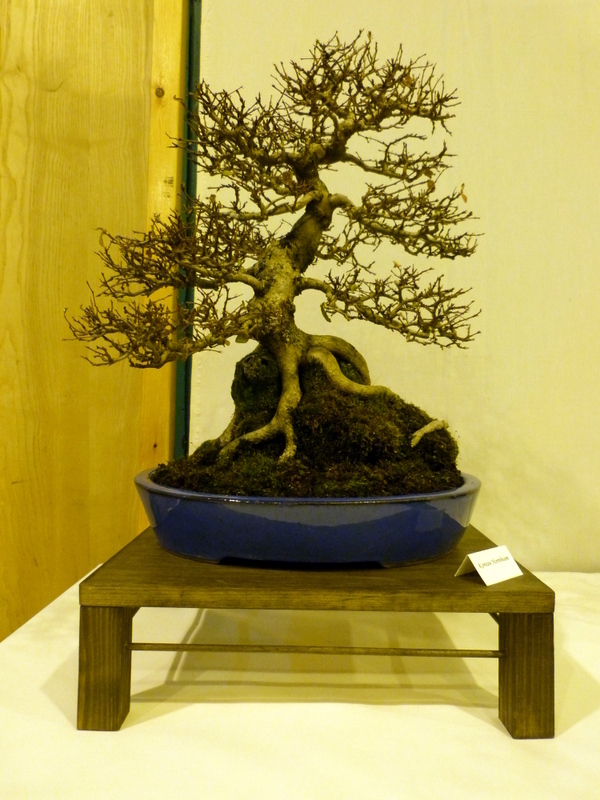 As for most people the wet autumn leading into a wet winter with a heavy covering of snow thrown in for good measure lead most of us wondering if all our trees survived and what would look good for the show. Most members have limited cover for their trees so they can only prepare and protect a limited number for selection for the show. This year the Swindon club provided the back drops and skirts for the tables so we only had to provide the base cover, this did help in setting up but must have given them quite some work in setting out the stands for all the clubs and individual exhibitors. The overall effect we thought was very pleasing concentrating on a more grand and uniform display. It seemed that the show was more popular than ever with lots of people coming through the doors, so congratulations to all those that helped put the show on and many thanks for the invite. 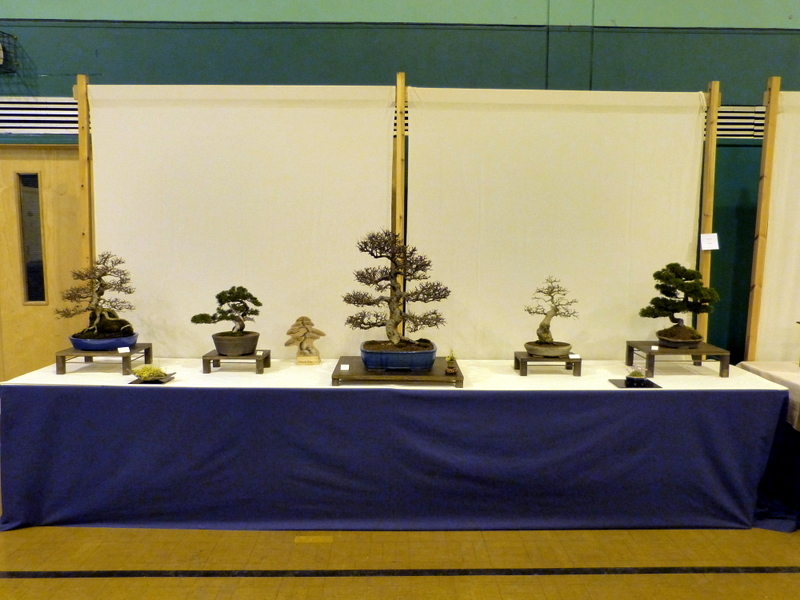 Here are just some of the images of our stand and thanks to Clive H who had the final decision on trees and layout,I have not included any of the show because the Swindon club website has many more images and is well worth a peruse. 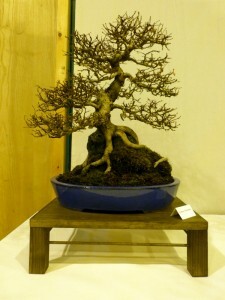 So the year has begun and the first Bonsai show of the year has come and gone. 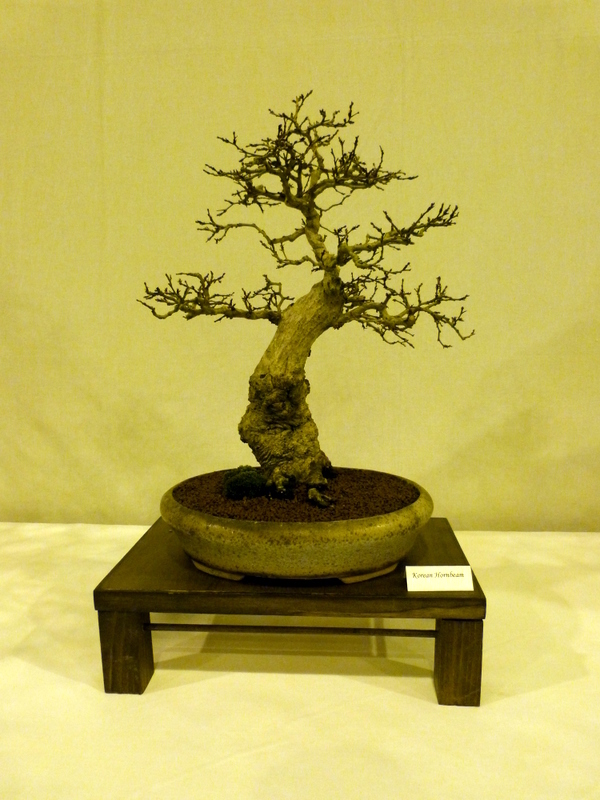 We were delighted to have been asked to attend the Swindon Winter Image show. 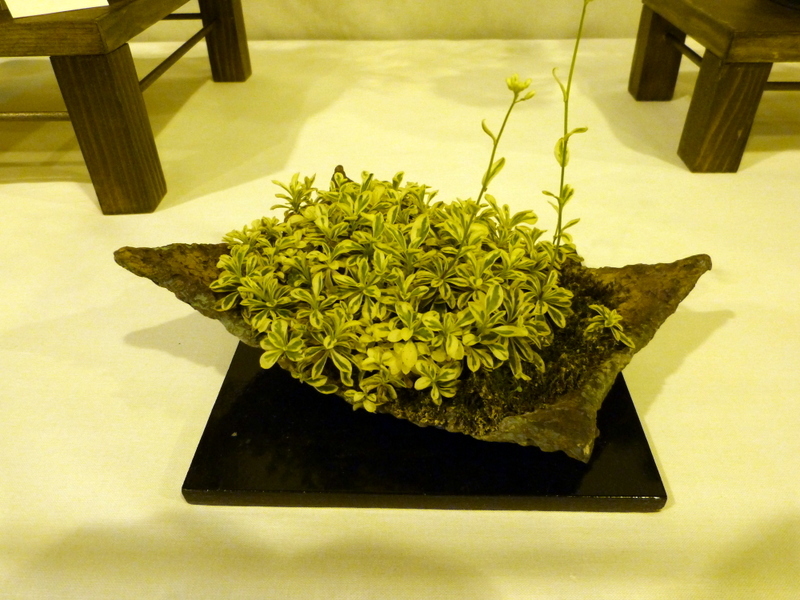 The show set up was different this year where by all we had to supply was the table top and the display. The Swindon club where supplying the back drop and skirt which in its self generates it own issue in the fact you have not got any thing to work with, you do not know how dark the dark blue skirt is and you do not know what colour the back drop is other than its cream if it framed or is the material gathered is it a flat sheet??? ( you can tell I am bit of a perfectionist). The only fixed info to work with was that we have 2 tables which is good as we are men and we can only work with one thing at a time this helps tremendously. 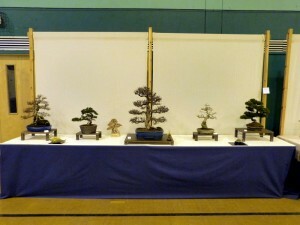 Any way setting this aside on the last club meeting we put the 2 tables next to each other with a cream cloth on top as our table top and set to work, we had a small but varied selection of tree’s to work with and it wasn’t too long before we had a combination of trees that would present the club in a good light and offer a variety of display which was different from last year in which as a club we can be proud. 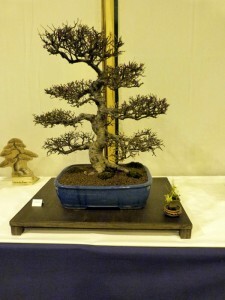 The display was made up of Hornbeams, Junipers and Cotoneaster. It was of interest to look on how other club struggled to put a display on when they try and do it on the morning of the show and when they haven’t seen what they have to work with, intriguing. However we would like to thank Swindon committee for inviting us again this year and I would like to thank all those that helped with putting the display together and support at the venue, thank you. 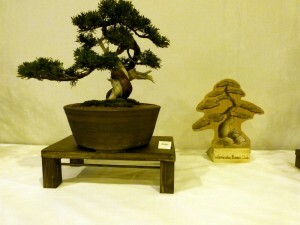 Looking forward to the 5th May, WE HAVE BEEN INVITED TO PUT A DISPLAY ON AT THE WESSEX SHOW. 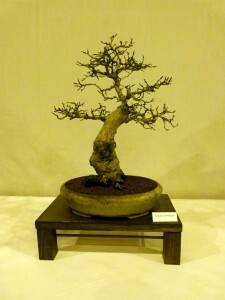 Would all members PLEASE TAKE A LOOK AT YOUR OWN TREE’S AND CONSIDER IF THEY ARE OR COULD HAVE THE POTENTIAL TO BE CONSIDERED TO BE DISPLAYED? 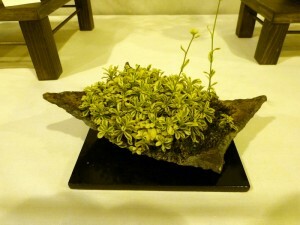 WE ARE LOOKING FOR NEW IMAGES GOING FORWARD PLEASE HELP US IN PROMOTING THE HOBBY AND OUR CLUB.